One of the more interesting performances to be offered by this summer’s Yerba Buena Gardens Festival (YBGF) will be a visit by Vietnamese composer Vân-Ánh Võ. 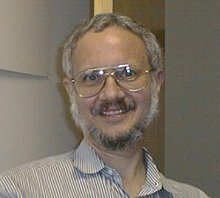 Võ has been a frequent partner with the Kronos Quartet as both composer and performer, having last appeared in that capacity this past April as part of KRONOS FESTIVAL 2018. 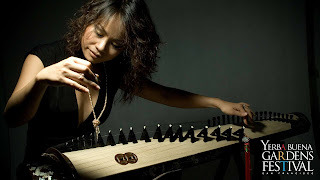 Her instrument is the sixteen-string đàn tranh, a Vietnamese plucked zither similar in nature to other Asian instruments, such as the guzheng (China), koto (Japan), and gayageum (Korea). The đàn tranh has been around since the end of the thirteenth century; but the sixteen-string version only appeared in the nineteenth century and subsequently became the standard form. For her visit to YBGF, Võ will perform with her VA’V trio, whose other members are string player Gari Hegedus and percussionist Jimi Nakagawa, whose instruments include taiko drums. This performance will take place on the YBGF “main stage” in the Yerba Buena Gardens Esplanade, which is near the northwest corner of Howard Street and Third Street. It will begin at 1 p.m. on Saturday, August 25, and should last for about 90 minutes. Seats are usually set up in front of the stage; but, if August 25 happens to be one of those rare days when the sun comes out, attendees should be prepared to have their own ways to shade themselves. There are also a few shady spots under trees near the stage, and some may even have chairs set up there. There is no charge for this (or any other) YBGF event; so showing up is all that is required. Donations will be collected throughout and after the performance.